Behind every great day is a great night at the newly renovated Comfort Inn Maingate hotel in Kissimmee, FL near Old Town. 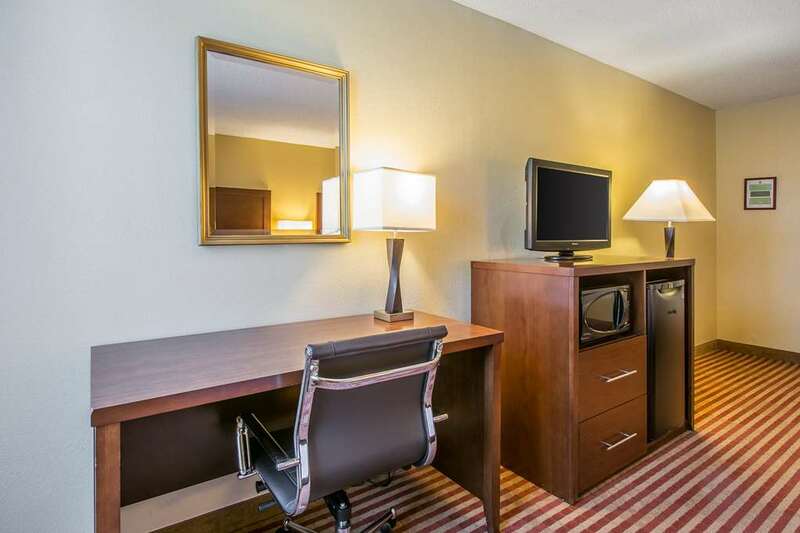 This modern, smoke-free hotel is near destinations like SeaWorld Adventure Park, Downtown Disney Marketplace, Disneys Animal Kingdom, Orlando Premium Outlets and Disney Worlds MGM Studios. Enjoy amenities like free hot breakfast, free WiFi, outdoor heated pool, guest laundry facilities, fitness center and free weekday newspaper. Guest rooms include a refrigerator, microwave, hair dryer and coffee maker. Also, earn rewards including free nights and gift cards with our Choice Privileges Rewards program.